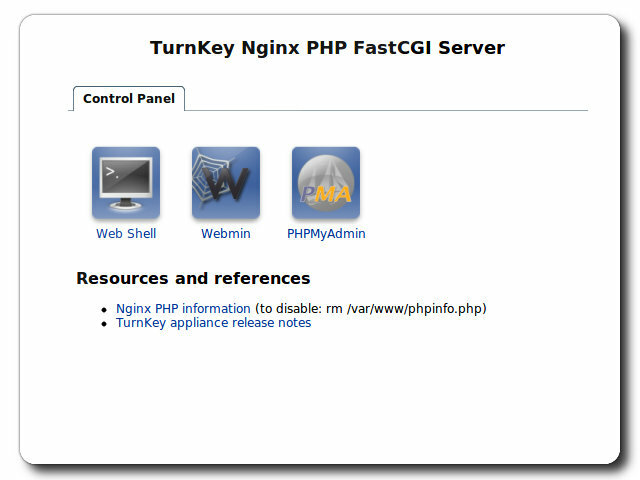 NGINX configured to proxy PHP requests to the PHP-FastCGI daemon. Includes TurnKey Web Control panel with links to useful references and resources (convenience). 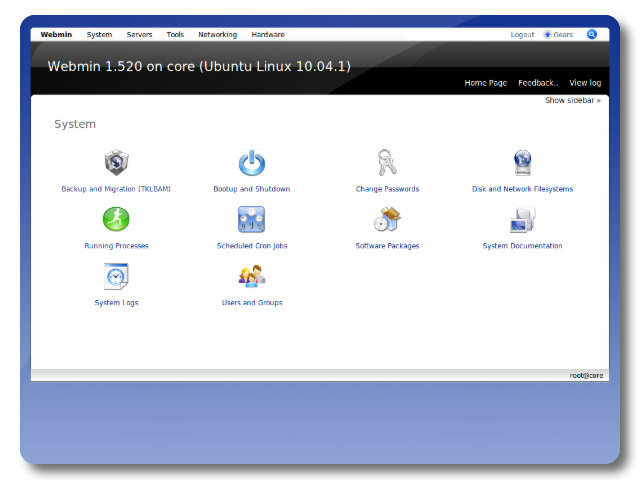 Webmin modules for configuring PHP, MySQL and Postfix.